Vagaries is 10 years Old....I personally convey my sincere gratitude and thanks for all the good wishes and support from Vagaries' readers. 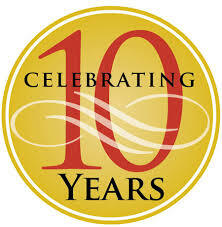 Ten Years of Weather Analyses, Weather Reporting, Weather Interaction and of course, Weather Forecasting. Over these years, we have added a few co-authors and tried to keep our format simple. We have maintained our reliability, genuine frankness and stating facts and reports, to the point. It had been my aim 10 years ago, to create a suitable platform and interaction forum for the hitherto dis organised Weather Lovers. I feel I have achieved this today ! Vagaries has become a good platform for Weather Enthusiasts and brought together Weather " freaks" from all over the India-Pakistan Region, and has become a good source of information sharing. Now, after 50 years of experience in Meteorology (and of course with the help of the internet and various weather sites), I feel I have been able to get a stable and a fairly firm grip on the subject. Vagaries has also been forecasting and giving weather estimates over the years. I know, that there have been some sections who have not been too happy with the resulting forecast outcome. 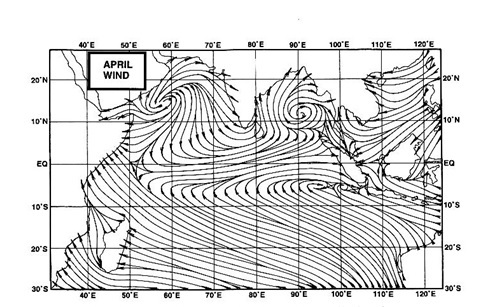 But, then weather forecasting , specially in the Sub Continent, has never been easy. Sometimes, I may not have agreed with the International Weather Models. I may even have been totally upstream and my views may have even opposite of what the international forecasts may say. But then...that's what I see it as! I may be having certain drawbacks, but I do appreciate the support and encouragement I receive from my readers. Believe me, it is your comments and feedback that has kept me going. Vagaries has many loyal and regular followers in the Sub Continent since the last many years. I propose to make certain minor changes in the blog. My regular readers, if you have any suggestions, please put them up. I am open to any suitable and practical change in style of writing, presentation of write up of article, more/less of details or any other change. Please understand, I may not be able to reply to all, but will surely consider the suggestions. Good Work. Really think Vagaries going to get even better, this just a start. It's a sheer pleasure to see this landmark reached. While I maybe commenting for the first time but this blog has been one of the very few which I visit on a daily basis (especially before the onset of the monsoons and during it). Like so many of the readers, I almost swear by your forecasts (which at times are at a variance with the meteorology dept but nonetheless quite accurate). When on those rare occasions the forecast goes wrong, and others around mock me, I jump into defense by saying that the Indian monsoons have so many parameters that it's difficult for anyone to predict. While I love weather, I'm completely clueless of most of the terminology jargon used here... but that's fine with me. Kudos to you, Sir and your team (there are quite a few - hats off to all of you). Wishing you all the best. Just a small request, maybe the blog can be designed to appear properly across of screens of different sizes. It would help to adopt a different layout, perhaps. What is the forecast for Mumbai. I can only say, U ARE THE BEST. My request to you, please add a separate section from where any new comer or weather enthuastics can learn. Also for indepth studies. Rajesh sir,i have been following your forecasts from the past 4 years and you have left an indelible mark on my mind by giving most accurate forecasts.....No doubt in forecasts...they are too good.But I suggest you if you don't mind that if you keep giving long term monsoon forecasts even in mid monsoon it would give users information about the later half of the season and they would be updated.Besides you are the best.